This section presents free classified ads for Furniture for sale for sale and to buy in Galway. FREEADS in Ireland is a platform to post efficient advertisements or classifieds in Galway. We help you find, buy, sell, rent or hire apartments, various goods for sale, local services offerings, cars, jobs and many more in Galway. If you are not happy with ads you see on this page please use search box above to find other items for sale in category Furniture for sale and location Galway or select another category. 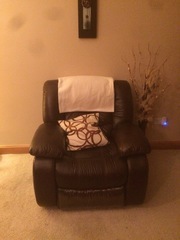 good condition, couch and 2 armchairs, black leather. Specializing in complete home furniture packages with over eight years experience and stores on the Costa del Sol, Spain. Now we are bringing our new online. (http://www.idealfurniturespain.com). 2 x Large Curved Office Desks in excellent condition. Mixture of Chrome and Polished Wood. €95.00 each or 2 for €180.00 Phone 091 788661 / 086 0328316. Dining Room display cabinet with storage in light mahogany. Good condition. Width 71” and Height 68”. Brand new never used, taken outside more info http://www.midwayusa.com/viewproduct/?productnumber=517881 not sure about something? just ask. Welcome. Bienvenida. Empfang. Accueil. Benvenuto. Welkom. Boas-vindas. Приветствовать . Mottakelse. 欢迎。ようこそ。 Hi there, This Gold Plated Quartz Clock - Good condition almost new. 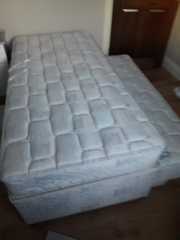 It is in good condition and has been well looked after. It would make a great addition to any collection or make a wonder gift for that someone special or event. Pine doors for sale including brass handles and hinges. Doors still handing, but willing to help with collection. No reasonable offer refused!!. Large selection of Pvc Windows. Prices from 90euro to 130euro. All brand new Double glazed. Pvc doors also in stock for 320euro. This is all new stock and please dont ring looking for secondhands as i dont have. Prices are small window 90euro up to 130euro for largest window which is around 3 x 4 foot with one opening(in picture) The doors in picture is 325euro. 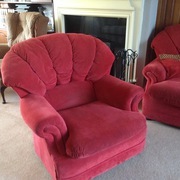 Ireland free ads for Furniture for sale, Galway, Furniture for sale free ads Galway, Furniture for sale for sale Galway, Furniture for sale to buy in Galway. This page is a classified ads listing for Furniture for sale Galway. This listing includes classifieds for sale and to buy in Galway. If you posted an advertisement on Furniture for sale, Galway before please use Edit my ads button to change or cancel your ad. Furniture for sale Galway ads Galway, Furniture for sale classifieds Galway, Furniture for sale free ads Galway, ads for sale Galway, ads to buy Galway, FREEADS in Ireland. Find here ads for sale, to buy and rent in Galway. Goods for sale in Galway, vehicles for sale in Galway, Galway real estate for sale, Galway property for sale, property for rent in Galway, business ads in Galway, Galway business classifieds, services in Galway, Galway services ads, jobs in Galway, pets for sale in Galway, Galway dating, Galway cars for sale.